The Advantage Series patented Triple Seal incorporates 3 sealing surfaces on the cushion interior to adapt to facial features and facial hair for a flexible fit and secure seal. 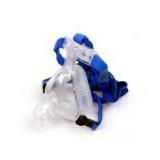 This “mask within a mask” design allows for a secure seal even when the patient’s mouth opens wider than anticipated. -Ribbed Supports built into the sides of the cushion, protect against leaks under the eye area even at very high pressures (>20 cm H20). They also prevent the mask from over expanding, while the triple seal cushion provides a comfortable, floating seal. -Flex Bubble minimizes pressure on the bridge of the rolex replica italia nose. -Cushion is able to flex from side to side whenever the mask hits a pillow, arm or other obstacle. Keeps the seal intact for even the most restless of sleepers. -DSIQ Exhalation Port built into the frame has multiple openings to quietly diffuse exhaled away from the patient and bed partner. -Extremely quiet, even at pressures above 14 cm H20. -Built-in Safety Valve in case of extreme pressure drop.